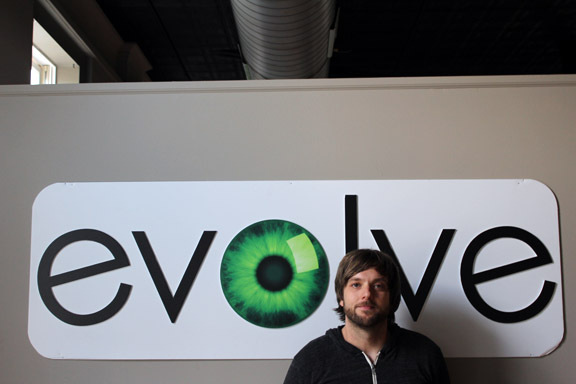 Evolve Digital Labs was created 4.5 years ago by Derek Mabie. Evolve is a Search Engine Market Agency empowering customers through data and search. Evolve’s vision statement, “Through exceptional people and process, Evolve Digital Labs will advance industries by simplifying the purchase and improving the product. Leveraging technology and data, Evolve Digital Labs will lower the cost per acquisition and help the job get done better.” Their main goal is to help customers build better businesses/websites. Evolve Digital has a process that includes the 3 elements: Audit, Strategy, and Growth. The audit section of his business is used because it is important to know what you’re doing. This process gives information how to be strategic, creating objectives/goals, and understanding the market. The second section is the strategy process. It is important to create an effective strategy to be able to have an effective company. If you put less into the audit and strategy process, the less your business will grow. The final process is known as growth. If you don’t have a strategy then you can’t grow your company. The audit objectives are to identify primary customers, market size, competition, on-site analysis, and cost of online market share. The audit will tell the company who their primary customers are and who will actually use it. The strategy objectives consist of market selection, online customer path, acquisition models, ideation, and metrics and dashboard. It is very important to know your role. Mabie let us in on some helpful information when considering your role in a business. There are two separate roles, the creator and the analyst. The creator is the person who creates the relationships. Art/skill are very valuable in this department. The other role is the analyst. The analyst gets the most amount of money and they are the best value of the company. The analyst gets paid very well because a lot of companies need more people who understand the business and can make sense out of all of it. What I enjoyed most about Derek Mabie coming and speaking to our class is how personable he was with our class. He was very informative about Evolve Digital but also let us know what him and other companies are looking for. If you have what it takes to be a data scientist, you are going to be very valuable to a company. If you can analyse data and know excel, you will make millions of dollars. In class we always talk about what is important to a company and how to have an effective website and get your company out there. Mabie really went into depth about what is important and what is overlooked. There are plenty of jobs out there, especially in the analyst role because there are a select few who can actually make sense out of all of the data. If you are skilled in both areas then you will be a great asset to the company. I really liked how Derek Mabie talked with us, made us understand, and even gave us helpful hints on how to be successful. I really enjoyed him as a guest speaker.